Domestic petrol and diesel prices are mostly determined by global crude prices, the dollar-rupee exchange rate and government taxes. Petrol and diesel prices continued to rise on Friday amid rising global crude oil rates. Petrol prices were hiked by 14-15 paise per litre in Delhi, Kolkata, Mumbai and Chennai while diesel rates increased by 19-20 paise per litre, according to Indian Oil Corporation. Effective 6 am, January 19, 2018, diesel prices was at a record high of Rs 62.44 per litre in Delhi, while petrol retailed at an over three-year high of Rs 71.7 per litre. 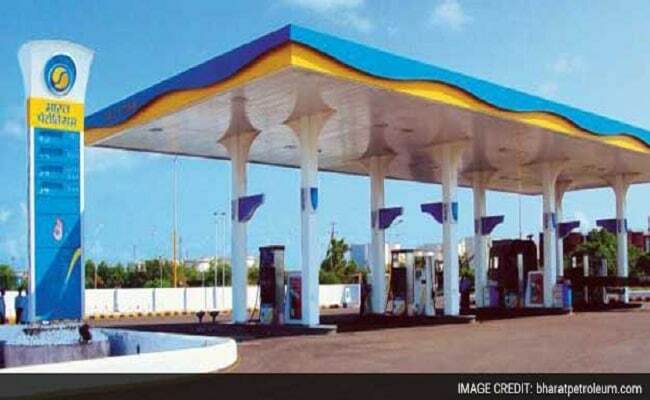 Petrol retailed at Rs 74.42 per litre in Kolkata, Rs 79.58 per litre in Mumbai and Rs 74.35 per litre in Chennai, according to Indian Oil Corporation's website - iocl.com. Diesel rates were at Rs 65.1 per litre in Kollkata, Rs 66.5 per litre in Mumbai and Rs 65.83 per litre in Chennai. In the national capital, the diesel price is at an all-time high while petrol price is the highest since August 2014. So far this year, including Friday's revision, petrol prices have gone up by Rs 1.73 per litre in Delhi, Rs 1.7 per litre in Kolkata, Rs 1.71 per litre in Mumbai and Rs 1.82 per litre in Chennai. Diesel rates are up by Rs 2.8 per litre in Delhi, Rs 2.8 per litre in Kolkata, Rs 3.23 per litre in Mumbai and Rs 3 per litre in Chennai, according to the Indian Oil website. In the international market, oil prices dropped more than 1 per cent as a bounce-back in US production outweighed ongoing declines in crude inventories. Traders said the lower prices were prompted by a recovery in US oil production after a recent drop, as well as by an expected fall in demand when winter ends in the northern hemisphere. From June 16, 2018, oil marketing companies - Indian Oil, HPCL and BPCL - adopted a new system of daily fuel price revisions, effective 6 am every day. Domestic fuel prices are mostly determined by global crude prices, the dollar-rupee exchange rate and government taxes.